SKU: CE375454 Categories: Hot Pink, Black, Pink Zebra Boutique, Cups, Glamour, Zebra, Pink Zebra, ON SALE! 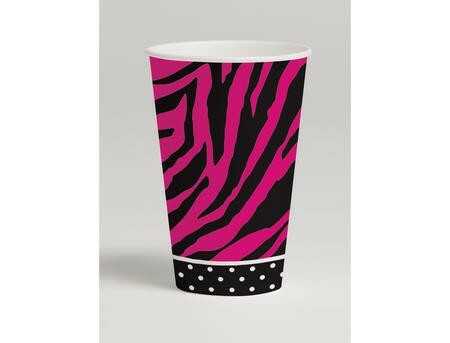 Our Paper Cups ~ Pink Zebra Boutique are perfect for a child’s glamour, fashion, girly girl and zebra party. And for the grown ups, these are the perfect hen’s party cups as they are bigger than a standard cup so much better for holding your mojito!